Winters in Swedish are notorious for making the days feel darker and shorter. At the end of a winter day, a lot of Swedes like to curl up with a “Fika” with some relaxing music playing in the background. And what better music to have as your soundtrack this winter than La Lusid? 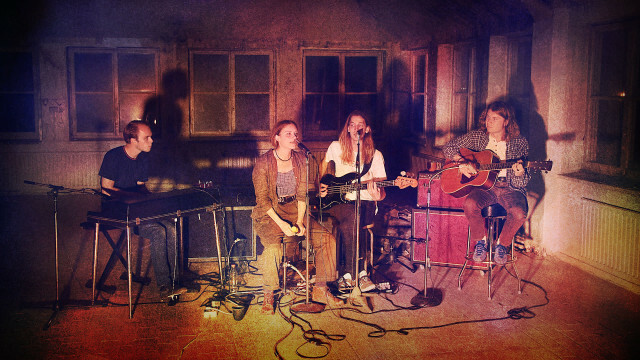 The band made of Paulina Palmgren (vocals), Fabian Ballago (keys), Samuel Collmar (bass), Karl Hovmark (drums), Johan Nilsson (guitars) recorded their first album in their own studio, called Spökhuset, outside Stockholm all five members contribute to what feels like a classic collaborative creative process. 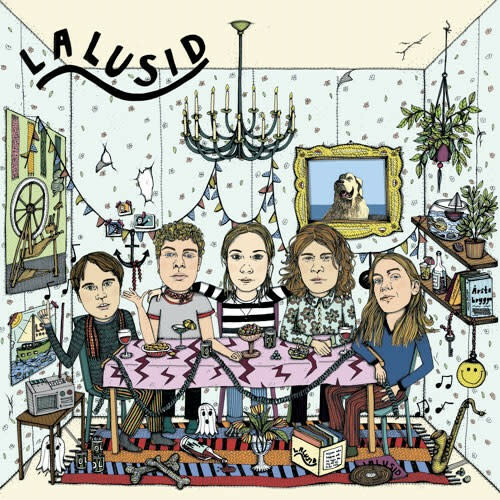 With this self-titled album released last September (out via Birds Records) La Lusid have managed to record a warm and confident debut that displays pretty much all the traits and hallmarks of your typical indie record. Just like the band shows a united front on their album cover, the tracks on the album flow well, making for an easy listen. Even on a first listen, the album remains interesting and doesn’t ever let you down as a listener. A playtime of just 36 minutes and the fact that all of the songs on the album are of such high quality makes the album a pleasure to listen to. 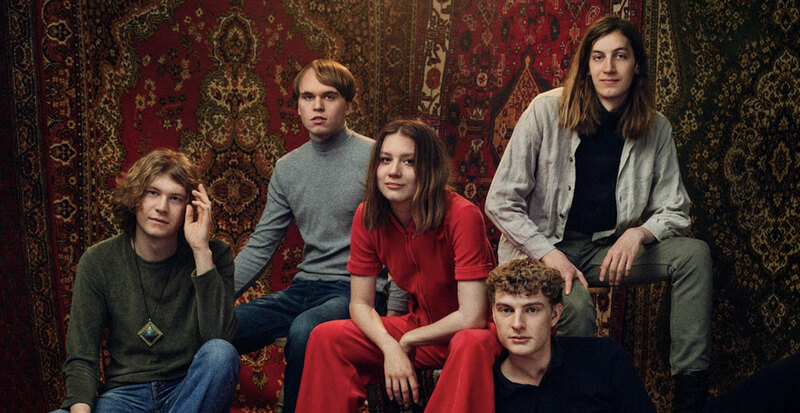 As you make your way through all the songs, you can’t help but start comparing La Lusid with the other indie bands to emerge out of Sweden in the 2000’s. In terms of possible influences, Shout out Louds, Postiljonen and of course Amason spring to mind. Several songs on this album flirt with melodies and song arrangements that feel very 60’s and 70’s. In particular, the singer Paulina’s singing voice is very reminiscent of Amanda Bergman’s voice (Amason). For the sharp-eyed, how La Lusid mix English and Swedish on this album is also something that bears resemblance to fellow indie band Amason’s debut album. However, comparing La Lusid’s record too much would be to make them a disservice. This album has some really strong moment. It glows the strongest when the band members are doing their own thing and leaving their influences behind. The synthesizers on "Holding the Door" and the brass section on “Who do you Love?” are real highlights. I would not be that surprised if I found several La Lusid songs in my “Spotify year in review” playlist later this year.